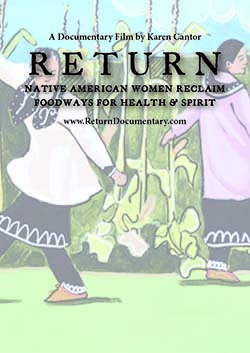 trailer - RETURN: Native American Women Reclaim Foodways for Health & Spirit from Singing Wolf Documentaries on Vimeo. 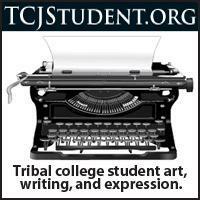 RETURN features charismatic Roxanne Swentzell from Santa Clara Pueblo in New Mexico whose efforts to reclaim ancient foodways are echoed across the continent by Tlingit, Muckleshoot, Oglala Sioux, Menominee, and Seneca women. 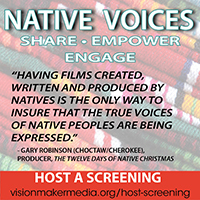 At its heart this film is about empowering people to overcome their current circumstances through eating as their ancestors did - nutritiously and locally. RETURN offers an approach to confronting the diabetes epidemic now rampant in Native American communities.